Nav Sarao is accused of helping to wipe $1 trillion off the financial markets in 2010; he is now in a U.K. prison. Many observers doubt Sarao caused the flash crash single-handedly. Navinder Singh Sarao will never rank among the most notorious inmates of HM Prison Wandsworth. William Joyce betrayed Britain to the Nazis. Ronnie Kray ruled the ganglands of the East End. Bruce Reynolds masterminded the Great Train Robbery. Today Nav Sarao sits in a 10-foot-by-six-foot cell at Wandsworth, considered one of the worst prisons in Britain, accused of an altogether different sort of crime: helping to wipe more than $1 trillion off financial markets five years ago. At “Wanno,” a forbidding Dickensian fortress south of the River Thames, time moves to the same monotonous rhythm: the jangle of guards’ keys at 6:30 a.m.; yard exercise at 8 a.m.; dinner at 4:30 p.m.; lockdown by 8 p.m.
Until one morning in late April, virtually no one in the great investment houses of the City had ever heard of Sarao. But then Scotland Yard arrived in Hounslow, on the western fringes of London. What happened next stunned everyone. Sarao was arrested at his parents’ modest, suburban home that Tuesday and accused of helping to cause the so-called flash crash of 2010, when the U.S. stock market plunged in a matter of minutes. While prices recovered almost as quickly as they’d fallen, the episode staggered investors. No one could explain it. Here at last, authorities claimed, was an answer: a glorified day trader living with his mom and dad near Heathrow Airport. This Tuesday, Sarao will return to court in his gray prison tracksuit and sit in the glass-fronted dock for an eighth time. The U.S. is seeking to extradite him on 22 counts ranging from wire fraud to market manipulation. Sarao, 36, denies all the charges, and many observers doubt he, or anyone else, caused the flash crash single-handedly. Instead, they point to an uncomfortable truth about 21st century markets: computers, not people, largely drive prices moment to moment. For all the question marks surrounding this case, the biggest of all has been Sarao himself. To Fleet Street, he is the “The Hound of Hounslow,” a tabloid caricature of City greed and excess. Yet in this post-Madoff era, when giant banks plead guilty to felonies that would put ordinary perps behind bars, Sarao defies nearly everything we’ve come to expect from our financial villains. There was no Alain Ducasse in London, no après ski in Gstaad. Interviews with people who knew or worked with Sarao paint a very different portrait and, in some ways, a stranger one. Many spoke on the condition they not be named to avoid being drawn into the scandal. A London lawyer for Sarao declined to comment. A spokesman for Wandsworth prison contested its description as one of the worst jails and said it had been praised for its performance. Sarao’s devious trading netted many millions, authorities allege, but colleagues say he was almost pathologically frugal. He worked largely in line with U.S. markets, which enabled him to commute across London between rush hours to get cheap off-peak fares. He would buy sandwiches after the lunch crush to save 50 pence. Asked by a colleague why he didn’t treat himself to a Bugatti, Sarao said he didn’t know how to drive. Neighbors in the Sikh community where Sarao grew up remember him as nothing special, if they remember him at all. His older brothers followed safe, predictable paths: one became an optician, the other an IT specialist. Sarao reached for more. Each morning he would awaken in the stucco home where he grew up. His mother would drive him to the train in her old, green Vauxhall Corsa, beyond the sari shops and temples of the neighborhood’s Little India. Fifteen miles east, he would step off in the City and into his other life. Beyond St. Paul’s, toward Tower Bridge, he would stroll along Minories street to St. Clare House, take the lift to the fifth floor and drape his leather jacket over the back of his chair. Then he would put on noise-reduction headphones and set to work. Here at last people noticed him. Everyone at CFT Financials Ltd. had heard about Nav, as they had at Futex Ltd., the small trading firm where he started out. Over time, his ambition curdled toward obsession, even paranoia. He became convinced that his orders were somehow being leaked. But to the mostly male, mostly young screen jockeys trying to scratch out a living in the markets, Sarao was a legend. Sarao arrived at Futex as a graduate trainee in 2003 after studying computer science atBrunel University, not far from his home in Hounslow. Futex spots trainees as much as 1 million euros ($1.2 million) in return for a cut of profits and, before long, Sarao was the talk of the trading floor. While the other traders were eking out 500 pounds ($765) a week, he was clearing 500,000 pounds. He sat by himself, away from the rest. At the end of the day, his colleagues would try to sneak a look at a computer log of everyone’s profits and losses. Sarao was almost always at the top. One day Sarao arrived at the office with 100 pounds of new clothes from Sports Direct, a discount chain. When the markets moved against him, he returned his purchases. At the time, he was making about $130,000 on a good day, maybe $70,000 on a mediocre one. But Sarao was growing tired of having to share his winnings with Futex. New traders usually keep 50 percent of their profits, while stars like Sarao kept 90 percent. Even that wasn’t enough. So Sarao ended his contract and struck out on his own at CFT Financials, a proprietary trading firm that also rented out space to private traders. He lined up backing and technology support from MF Global Holdings Ltd., the now defunct firm run by former U.S. Senator Jon Corzine. According to former CFT traders, he came and went as he pleased and kept to himself, as he had at Futex. “I just want to be the biggest trader,” Sarao told one colleague shortly after starting there. CFT is no Goldman Sachs. But among the small private traders in Sarao’s world, it had a reputation as a place where a savvy young guy could get rich. Andrew Priston, director at CFT’s Montreal office, was nicknamed “Braveheart” in the U.K. media. He was a regular on the 30 Under 30 list of successful traders at Trader Monthly, a short-lived lifestyles magazine for financial players. Before joining CFT, Sarao had contacted the editor to ask how to make the list. “I didn’t know Nav personally but obviously heard his name mentioned many times over at CFT London,” Priston said in an e-mail. The new freedom at CFT also meant a new approach. According to U.S. allegations, it was during those years that Sarao began “a massive effort to manipulate” stock futures on CME Group Inc.’s Globex electronic trading platform. Those allegations center on what’s known as spoofing, an illegal technique that involves flooding the market with bogus buy or sell orders to drive prices one way or another. The idea is to fool other traders, both humans and computers, to enable the perpetrator to buy low or sell high. Many traders say spoofing, while illegal, is rampant in today’s high-tech marketplace. Authorities say Sarao developed his computer algorithms in June 2009 to alter how his orders would be perceived by other computers. 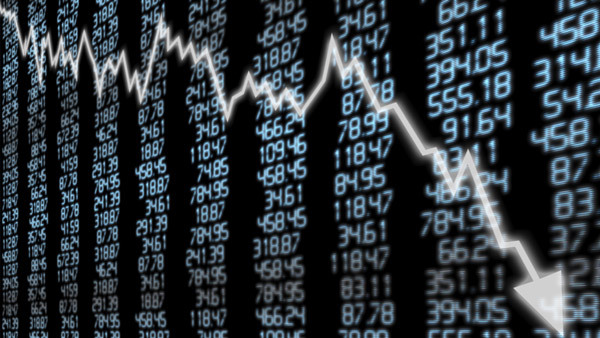 On the day of the flash crash, May 6, 2010, more than $1 trillion was wiped off the markets in the space of half an hour. Sarao allegedly made about $900,000 using an algorithm that gave a misleading impression of the volume of sell orders. In the aftermath of the crash, suspicion immediately fell on high-frequency trading firms, whose ultra-fast trading has come to dominate the marketplace. But while Sarao used trading algorithms — what one former colleague called a turbocharged spreadsheet — his methods were a far cry from those employed by HFT firms. Navigating the ins and outs of high-tech markets is now the least of Sarao’s worries. Whiling away up to 23 hours a day locked-up and conserving his four daily tea bags are greater priorities. If he’s lucky, he might get a job in the laundry or kitchen until his fate is decided. While Sarao sits in Wanno, pressing questions remain unanswered. First: could a lone trader really bear some responsibility for the flash crash, one of the most harrowing moments in Wall Street history? Second, and perhaps more important: if so, don’t we have a bigger problem? — Check out Former Senator Calls on Congress to Investigate ‘Flash Crash’ on ThinkAdvisor.